Now there's a subject we could discuss for years to come. which do you mean? The photos above or the pineal gland? The pineal gland and it's possible connection with the Eye of Horus. 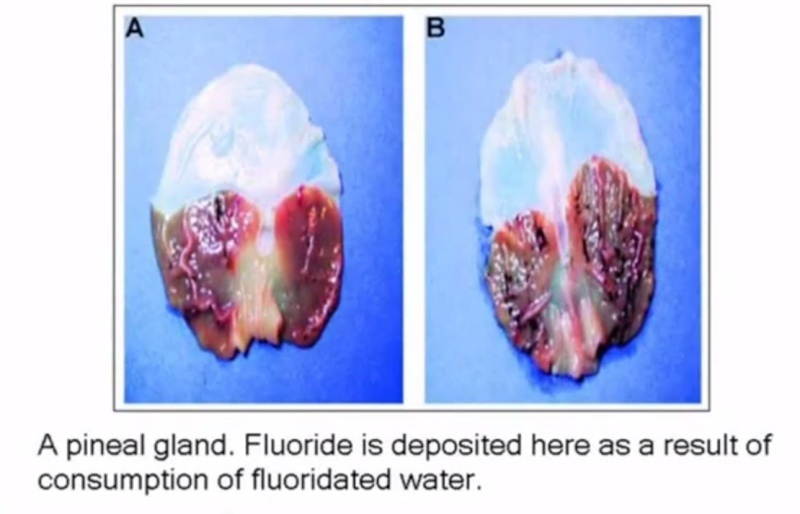 The first picture shows the effect of fluoride crusting over the gland. You can now see why all the governments of the world push to have fluoride in the drinking water. It is a poison and dumbs the population down as well as inhibits the ability to have the pineal gland functioning. Mercury is also a horrible opponent to a working pineal gland. fish and tuna with the mercury content so high is working against you when you eat this. Best food is leafy green veggies and raw veggies. Raw lemon juice and apple cider vinegar is a great aid. You should also check on the web to find out how to detox you pineal gland. Much info available on that. Another aid one can find on youtube are sounds to help open that gland. I personally believe that the 936 mghz is the wrong frequency. You need to find one closer to 136.10 hz. Now, looking at the above illustrations it would be hard to come to another conclusion that the eye of Horus does not connect to the pineal gland area. Even that medulla oblongata is so close one would be hard pressed not seeing a comparison. But let us venture any other info or conclusions we may find. It would be great if we could understand what the Egyptian writing around the eye of Horus is saying. Anyone able to read it? Also, looking now at the eye within the triangle on other illustrations opens new and possible answers in a meaning that signifies a method of time travel or opening another portal to step through by using the ability of the pineal gland. 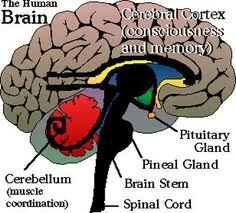 I find the pineal gland very interesting because of its possible implications with psychic perception.. I agree with you that's important to keep it clean and free of toxins, although I must say that not all fish and tuna are poisoned with high levels of mercury and other heavy metals. It's true that it's a danger but there are still clean sources you just have to make sure you're eating them from the right places. Vegetables are great for detox as you said and the cleaner we get our bodies the easier it becomes to sense and manipulate energy. Since you mentioned those frequencies, have you used brainwave modulation and binaural beat sounds to occult purposes? If so please share your experiences. I have not....since yesterday I sampled a group of them to see which one might work better than the others but have not come to a conclusion yet. I was startled yesterday when I walked into a grocery store when a group of people came running up to me saying you scan people and tell them what is wrong, don't you? (A hoard running down the aisle in the grocery store coming at you is rather strange wanting to know can I tell them things wrong). I said I do not know anything of what you are referring to....I had told a girl in the aisle a week earlier that she was having problems with her shoulder as she was carrying too heavy a purse. She was working at the store. two days later she was checking me out and she said I am feeling sick and my shoulder is hurting me.....I told her no, it was her tonsils. So, when she had to go to the doctor and he told her she had tonsillitis....she started spreading this stuff all over town that I am a reader and I scan people and see what is wrong.....so I am now considered the witch of Endor.....that is what the pineal gland open can do for you.....but I have been doing this for years back. I expect this bunch in this area to start having church prayer meetings to get Satan out of their midst....LOL. But I also want to say that some spirit beings I have met with can suddenly clean that pineal gland and clean the toxins off it. You will suddenly hear a pop in that area and you will quickly notice a vast improvement in your dream work and it will be more lucid. I have found that some of the major spirits can and will take you out of your body at night and take you to specific places for your education. Having this gland clean and open is very important for clearing and more occult workings. That is why it really is important. Based on these things and how I am being led to study some of these sources, I can see where I am being led. It is so apparent and my old friend that has passed over has been near and smiling at me with a few comments.....so I know where all this is going and I do not especially want to be taken in this direction. LOL. I love my solitude. To comment on the Egyptians, I believe that this was an important part in the training of the initiates with developing the ability to focus and use the abilities of this gland and others. I now know what they are referring to as portals that led them to time travel and soul travel to the places in the universe that the pyramids positioning lined up with in the night sky. Those black pieces of glass that Maktub showed us is a prime example. Every person has this ability but has been shut down on purpose for control. I believe we have to work to free our ability to re- connect with this and go back to our source to eliminate things in our life that are worthless and of no value at this time. One needs to determine what area they work best in....like seeing things as a visionary with those scenes coming as you focus into the energy in front of you, or just knowing...like intuition and that comes from that spot in the solar plexes. Or hearing your answers....that comes from those two spots just above the ears on each side of the head.....so to determine which area you work best with....seeing, feeling, hearing or knowing........then continue to develop those abilities. These will probably be your only means of protection in the days and years to come as the planet seems to be destined for a more difficult time. Now Jonathan, give us some of your experiences as I know you do a lot of meditation and that even by itself stimulates the pineal gland. I also find that it develops better if you work with it in total darkness rather than even with candle light or any other light in the room. What has been some of your experiences? Maxx I have worked with pineal gland stimulation and you're correct when you mention meditation. In fact I find meditation essential to anyone working with energy as it teaches you more than I could ever put into words. There are also ways of cleansing and activating the pineal gland through energy work as I'm sure you're familiar with. All things are connected and I can't say just one is good and others less important as I believe the great is about the sum of different techniques and managing to keep different parts of yourself balanced. Then energy work and magick become natural and you greatly expand the limits of what you can accomplish. If several years ago I imagined that I would be able to do what I can today I would get all excited with the possibilities and now that I'm here I'm much more cautious with how I use it and everything feels more natural and less fantastic than when we can't do it. Not sure if it makes sense to you just expressing my mind out here. Concerning the Egyptians it's always fascinating how they knew so much about life, magick and the universe in ways that we're only starting to rediscover now. I'm inclined to believe that most of humanity just can't handle that kind of knowledge and magickal power, as all these techniques and initiations were taught and left behind by the Asetians back in Ancient Egypt and allowed for them to become such a great civilization but then things were lost and started to decay because people couldn't handle it. Humanity always finds a way of shooting itself in the foot and go back to the dark ages. Only the mystery schools remain sane and not all of them, the rest goes into spiral repeating the same old mistakes again and being lost in the non-important elements of life on Earth. Perhaps there are forces that 'give the gun' to humankind. Though all the fault is not that of the general populous, they are simply not able to handle the responsibility of 'wielding a gun', so to speak. Also, once they have shot themselves a certain group of people *cough* will try their damn best to keep them on the ground so these elite few can flourish on the suffering of the weak. Jonathan. Have you ever seen the 4 areas of psychic stimulation laying out the better connection with meditation by realizing these centers? I wonder has this been taught in all the meditation lessons out there you have seen over the years....I have never looked at a focus of meditation so I certainly am not involved with this at all. I have just had this pointed out to me in the last several days in spirit work so that I may work on it. Because we see so many different personalities in this world we all have different successful results by focusing on that psychic center that one best connects with like......a person that has visions will connect with the 6th and 7th shen area while the person that hears answers will have those two areas on each side of the ears and just above them, to focus on this during meditation. People that just have the answer come to them like a "gut" feeling will utilize that 3rd shen and overlap with the 4th to experience love and hate situations. Those that experience strong emotions that bring tears or joy are connecting to this particular center. I have seen the word empathic used here in some comments and I know they are talking about connecting to that 3rd shen. Some people have experienced 'feelings" like burning or smell or odors to connection to answers given in meditation. I may be incorrect but I think these tie into the 1st and second shen which would overlap depending on the situation. Have you experienced the difference by using these centers to elevate your results? In past years when dealing with some problems people have had I would "see" things come out of the body in a particular area. Their eyes would instantly get large and I knew that I need say nothing to influence any experience they had. At other times I would understand their problem being connected with an 'emotional" problem and I would center on that.....and so forth. So looking at past first hand situations in my own life, I understand there may be advantage to stronger work in searching out how best to relate to ones own gifts each of us have to get the greatest results whether we are in meditation, getting answers to questions, or saving ourselves during times of danger, etc. Not sure what you mean when you say "by realizing the centers" but if that is to consciously connect with those Shen centers in meditation and increase your awareness of their vibration, slowly working with their energy as you meditate, then yes. Anyways if you got that pointed out to you in spirit work I would say for you to follow it through as it will teach you something new. Yes, that is what I was speaking about. But prior to that the individual needs to identify which of the prime psychic centers are more natural for them and which they function best with. A new person hardly is ever natural in using more than one center starting out. In those four areas are how we connect.....even the times when one leaves the body it will leave through one of those 4 centers. So we need to understand which is our individual strong center or centers and focus on the one we are best at. Then in time work on the development of the others we are not natural in the beginning. I believe if you stop and consider which of these psychic points you are using best when you meditate it will illustrate what I am speaking of. I will make a focused effort in that direction. Maxx wrote: So looking at past first hand situations in my own life, I understand there may be advantage to stronger work in searching out how best to relate to ones own gifts each of us have to get the greatest results whether we are in meditation, getting answers to questions, or saving ourselves during times of danger, etc. You can meditate to save yourself from danger and save yourself from danger with what you learn during meditation. To me meditation can be a form of magick and it's possible to do advanced energy work in meditation. Meditation does not have to be the typical techniques of clearing the mind and entering trance, there are many other applications of meditation, which I believe is related with what you're both talking about. For example there is the meditation practiced in Buddhism, Tai Chi and followers of oriental traditions and then there is the meditation used in Witchcraft and Pagan-European practice. They are all very different as I am sure is the Egyptian meditation practiced by Asetians. Gerald Clark was on the coast to coast am radio. the program is 4 hours and is called Humanity's Anunnaki Legacy. This show is one where this guy talks about the ancient background stories where if you listen, you will hear the backgrounds of Aset Ka and Red Order of Seth and even before that....without using their names. This is one interesting tale and book and he tells it where it includes the two sides of opposition in todays world. Even if some of it is hard to believe, this is worth the listen. This site repeats a lot of information already found in this thread, but it has some interesting stuff. On the fluoride...I just called Walmart US center and asked whether they put fluoride into the Sam's 20 ounce bottled water.....she had to go ask her supervisor and he said it has none added....and they reverse osmosis....so ....... other than getting bladder cancer from drinking out of the plastic container....I am good to go....lol. As I read your last part there, I took instances about some things that happened I recalled from my recent past where I would begin to have a bad gut feeling about something that had not happened and almost immediately I would have what seemed like a protective thought that told me about what was to take place.....and this would turn into a vision process like watching tv. Then that might somehow come to pass within a week or a shorter period. I think this process would begin in the 3rd shen and then soon connect to that 7th shen in a combination effect and then connect with that 6th shen.....which I would then be aware of that future happening and already know about it. A couple of times I spoke to the parties before I was told about the situation and they were surprised that I knew about it....it was supposed to be secret. Lol. Maxx wrote: A couple of times I spoke to the parties before I was told about the situation and they were surprised that I knew about it....it was supposed to be secret. Lol. I find myself having many spiritual experiences through the Third Eye Shen. As has been before been mentioned, I tend to have gut feelings about the present situation and then proceed to gain feedback through the sixth Shen. I believe my Sixth Shen is my main and most active center. In regards to the Pineal gland, I have been working on it's decalcification. I have noticed that within meditation, I find a vibration behind the eyes in the center of my brain. In regards to the Egyptian beliefs, the brain was liquefied and removed. Could the destruction of the Pineal gland be what finally separated the Pharaohs' souls from the mundane that is the Physical? Fluoride is an important issue mostly in school where water is least purified.The amounts of fluoride in primary schools is insane.Also Maxx I have read many times that you hear a loud pop sound when your pineal gland is decalcified.Maybe in early ages humans can see spirits until their pineal gland is calcified.